Hope is a vital necessity of our lives. It is a gift from God that allows us to press on through life’s challenges. Hope is knowing that God’s grace will give you the strength for whatever you face and the assurance that nothing takes God by surprise. 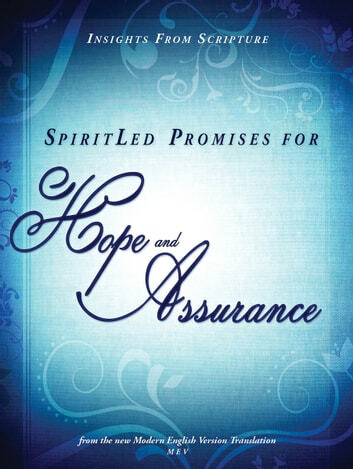 Scripture is full of the promises of God, promises that help our faith and hope grow. So you can understand better, pray with purpose, grow your faith, and live with joy, knowing God is the author of your hope and the finisher of His work.